Maybe a bit late, but I couldn’t resist doing an ideal Christmas list for any beauty blogger out there. I went for a mix of both make-up and body/skincare. I am loving this set of Benefit’s best – it’s so useful for people like myself, wanting some higher end make-up but not knowing what’s worth the money. It’s great having lots of small samples and working out what full size products you want! I’ve seen everyone craze about the smashbox primer so I chucked that in, and, of course, the Naked 3 palette HAS to be in there. HEAVEN! For the body/skincare side of it, I decided on Origins – everyone loves a bit of Origins and I’ve heard lots of good things about the Ginger range! 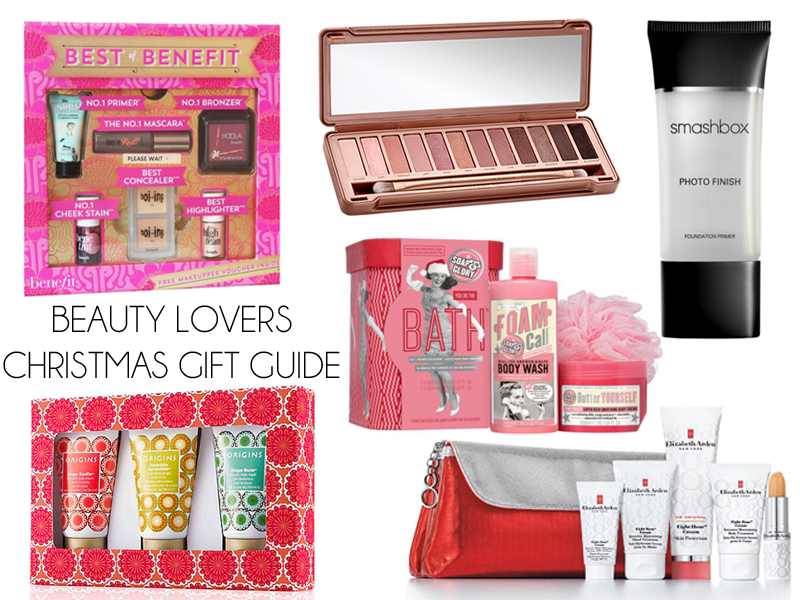 A slightly more affordable option would be the Soap and Glory bath set – who doesn’t love a nice pampering bath?! Finally, good ol’ Lizzy Arden, a set of different skincare products perfect for any beauty lover.